The concentric contraction when the muscles produce enough tension to overcome the force that is acting on it. The muscle shortens as it contracts and imposes its will on the weight that it is moving. 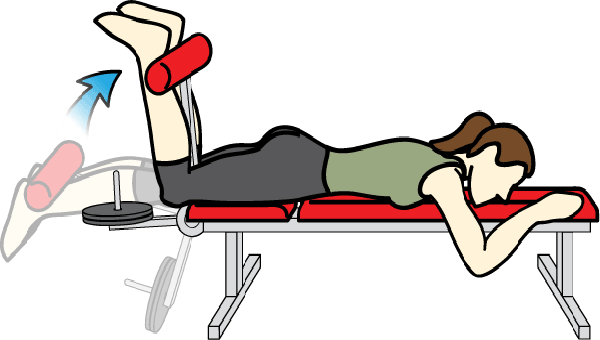 As you can see in the diagram above, the person in the figure is doing hamstring curls. As the hamstrings concentrically contract, the muscle gets shorter and overcomes the weight that is acting on it.